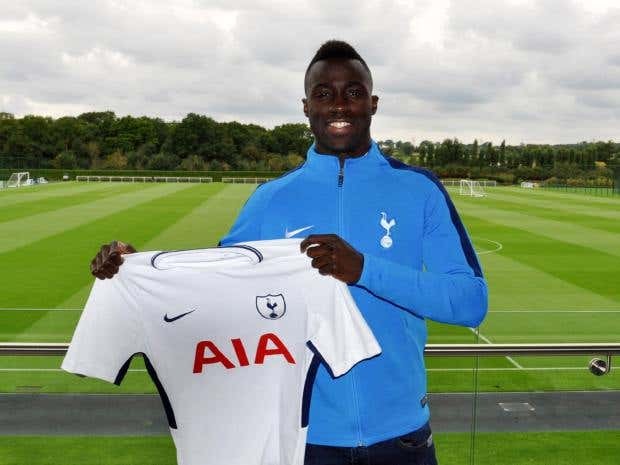 Totttenham Hotspur have finally made their first signing of this summer’s transfer window in the person of Ajax Amsterdam’s Davidson Sanchez after the Dutch giants reportedly agreed to accept Spurs’ €40 million. Since starring in last season’s Europa League final in a Man-of-the-Match like manner despite being on the losing side, the Colombia international’s performance that night triggered a lot of suitors who quickly dug into his past and discovered the youngster was worth investing in. Apart from being the first player to be signed this season, the former Atletico Nacional man also dislodged Erik Lamela and Moussa Sissoko to become Spur’s most expensive signing of all time. On Ajax’s part, the deal most certainly brought as much profit as they might have desired since the Colombian only joined them last summer for a paltry sum of £5 million. Davidson won Ajax’s Player of the Year award last season and has been heavily scouted by Barcelona in the past few months, yet, maybe due to the fits of disarray the Blaugrana’s transfer moves have been so far, Sanchez opted for a move to White Hart Lane as he informed Ajax of his desire to join Pochettino’s side this week. He had been odds-on to make a move to Spain on NetBet's transfer index, but finally signed for the London-based club. Speaking at his unveiling, Sanchez said: "I am very excited to be signing for such a famous club as Tottenham Hotspur. I am looking forward to working with Mauricio Pochettino and the players and meeting everyone there." The deal also reeinforces the healthy relationship between both clubs as Sanchez’s deal makes him the fourth former Ajax man to join Spurs in recent memory. Jan Vertoghen, Toby Alderweireld and Christian Eriksen are the other players who have made the leap. With Jan and Toby already rooted in the back-man starting line-up, it will be interesting to see if Pochettino will sacrifice either of the two to make space for Sanchez. Jan Vertoghen looks the likeliest to shift since at 30, the temptation for a less pacy league like the one in the mould of MLS football might suit him better. It comes as a welcome boost to the club, who have been told by former pro Jermaine Jenas that they must spend to keep up with the title chase. Jenas says his former club’s lack of financial pecks and beefy wage structure stands between them and the leap to an A-grade Premier League side. For years, Spurs have become accustomed to losing their best players to the game’s whales and sharks – Gareth Bale and Luka Modric stands as obvious examples – and with the current crop of talents like Dele Alli, Harry Kane and Christian Eriksen, Jenas feels the trend of talent-exodus away from White Hart Lane will continue as long as Daniel Levy and his conscience feels nothing wrong with paying players less than their true worth. The retired England international also stated the obvious fact of Spurs not reaching the heights of Chelsea, United and the likes if they keep on paying their players half of what their rivals will be willing to. Tottenham has a wage cap of £100,000 per week and goal keeper Hugo Lloris and striker Harry Kane earn the most out of their peers. Club Coach Pochettino has built a well oiled and stable unit among the squad since his arrival in North London three years ago. Unfortunately, the “small” wages means his squad is in constant danger of being torn apart whenever the big clubs wish to fulfil their fancy. Harry Kane was mooted in the corridors of Stretford End before Jose Mourinho decided to settle with Romelu Lukaku while partner in crime Dele Alli was earmarked as a wait-listed scoop for Real Madrid in the nearest future. With Liverpool frustrating Phillipe Coutinho’s move to Camp Nou, Barcelona are reportedly earmarking Christian Eriksen as a viable plan B as the Blaugrana carry on their quest to replace the man they sold for €222 million.